The Northern Forest Canoe Trail is a paradox. It’s been around forever, but it was “completed” just four years ago. Whatever, we’re glad it exists. The NFCT is a 740-mile water trail that follows Native American paddling routes. It starts in Old Forge and ends in northern Maine, after passing through Vermont, Quebec, and New Hampshire. This includes sixty-two carries, totaling fifty-miles. You can paddle it in the other direction, but it will require more portaging. The nonprofit Northern Forest Canoe Trail Inc. has done a great job of promotion. 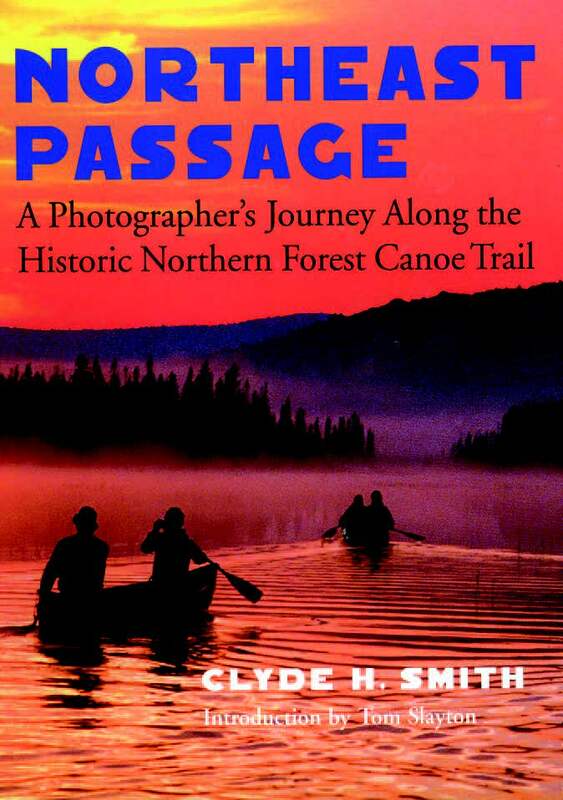 Over the past ten years, the group has put up kiosks in various towns along the route, organized paddling film festivals and volunteer projects, and published two books about the trail as well as a series of thirteen full-color maps. 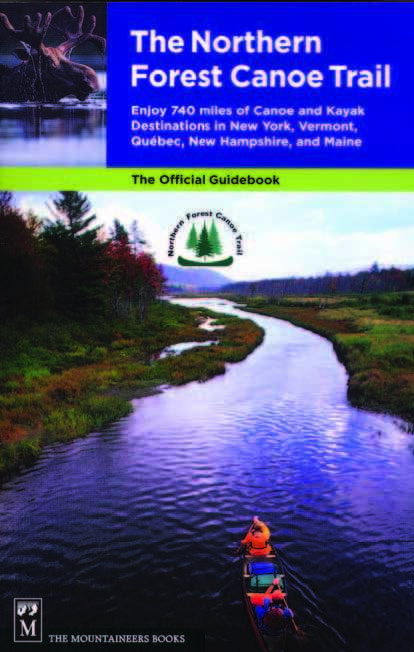 And now they’ve teamed up with The Mountaineers Books to publish The Northern Forest Canoe Trail: The Official Guidebook. For those doing the whole trail, the book is essential. But day-trippers also will find the book useful. 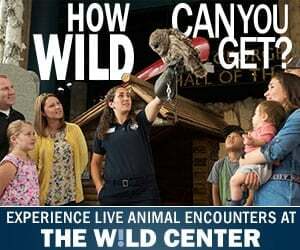 After all, you don’t have to paddle the whole thing to enjoy the NFCT. You can cherry-pick the best sections. The book breaks down the trail into thirteen sections, each one covered by one of the NFCT maps. The book and maps are made to work in tandem: route descriptions often refer to numbered landmarks on the maps. You’ll have to purchase the maps separately ($9.95 each). The book has some overview maps, but they aren’t useful for paddling. 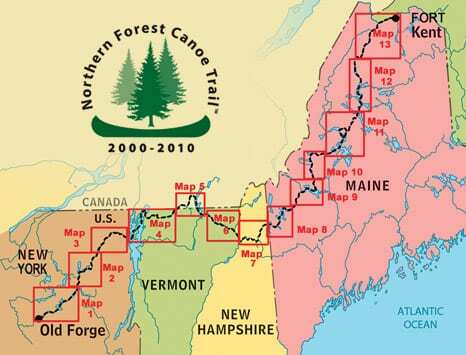 The 147-mile Adirondack leg of the NFCT has three sections (and thus three maps): Fulton Chain of Lakes to Long Lake, Long Lake to Saranac River, and Saranac River to Lake Champlain. 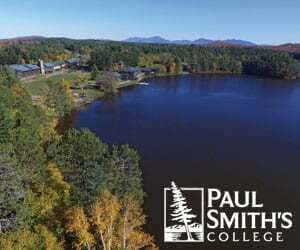 From Old Forge to Saranac Lake village, the trail more or less follows the route of the Adirondack Canoe Classic, an annual ninety-mile race that takes place over three days. Most of the Adirondack portion of the trail is flatwater that can be enjoyed by novice paddlers. The Saranac River, however, contains numerous rapids on its way to Lake Champlain. Nevertheless, the river also has long, quiet stretches that should appeal to flatwater specialists. 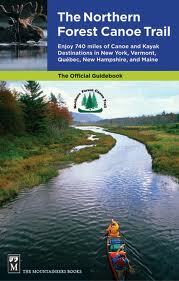 One of the virtues of this book is that it brings to our attention the many paddling possibilities on the Saranac. Throughout, the route descriptions are detailed and well-written, with precise mileage between landmarks, directions to put-ins and takeouts, camping information, and numerous historical asides. There is a gallery of twenty-five color photos in the center of the book and black-and-white photos elsewhere. One of the fifty or so paddlers who have done the entire NFCT in a continuous journey is Mike Lynch, an outdoors reporter for the Adirondack Daily Enterprise. You can read my interview with Mike on Adirondack Almanack.